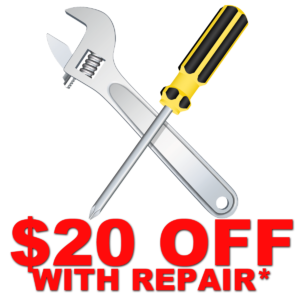 $20 Off Repair or Installation Of Your Part. Call us today to work with the most honest and trusted installation company! At A-Appliance Xperts Inc. we have been installing refrigeration, oven, and dishwasher parts for over 35 years. If you order the wrong part our technicians can order you the correct part and you can and have it installed, or you can get the correct part, call again and the service charge is applied to the installation within 30 days (We are not responsible if wrong part was ordered). We can generally offer same day service and install your appliance part quickly and efficiently. If the part fails you have to pay for removal and get the new part to have it reinstalled. “Carlos was right on about the problem we had with an older fridge and remedied it quickly. If needed will use your services again. The price was very reasonable in this day and age!” -Charles J. “Had Terry from a appliance xperts out to fix my mom’s refrigerator he was awesome, knowledgeable of machine explained, explained everything to us and have her a great price, Refrigerator works great would definitely use them again.” -John H.